One piece tank construction with powder coating finish and fitted. With fully sealed,magnetic driving pump unit. Fluid recirculated through replaceable filter element and directed. Onto work piece through flexible delivery nozzle. 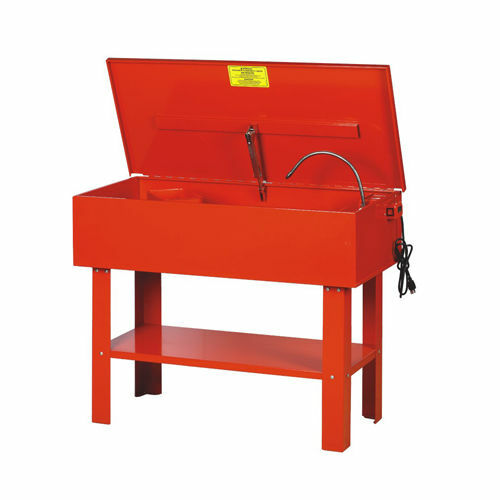 40gallon capacity tank is suitable for cleaning larger engine components. Lid of tank fitted with fusible link hinge which automatically snap slide shut in the event of a fire.